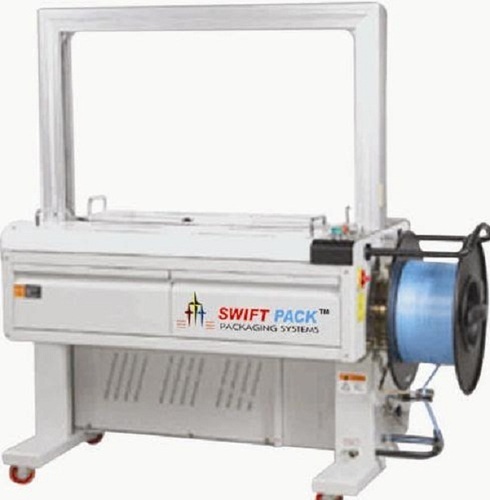 We are importer and exporter of superlative quality Automatic Strapping Machine. Automatic Strapping Machine is suitable for general objects. The automatic strapping machine can be used in a production line of which objects differ in size and irregular in shape, and it can achieve unmanned strapping together with power conveyor. Power belt table top and access transmission mechanism are adopted, with easy maintenance. The automatic strapping machine is widely used to strap various packages (except annulations) in all kinds of fields.